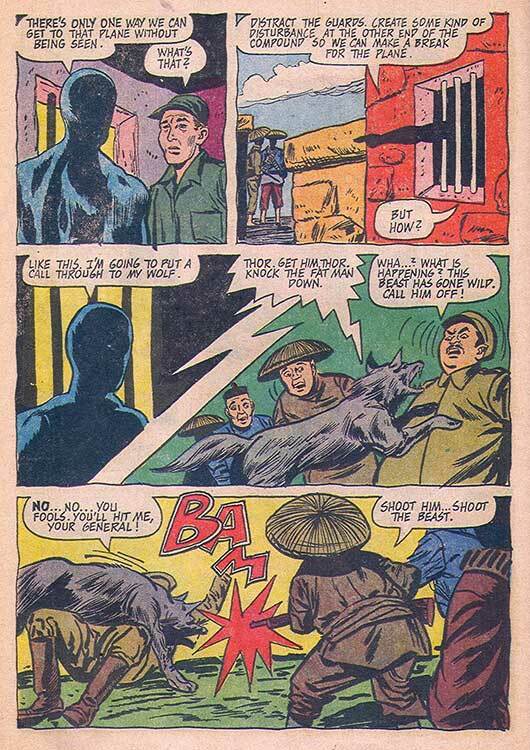 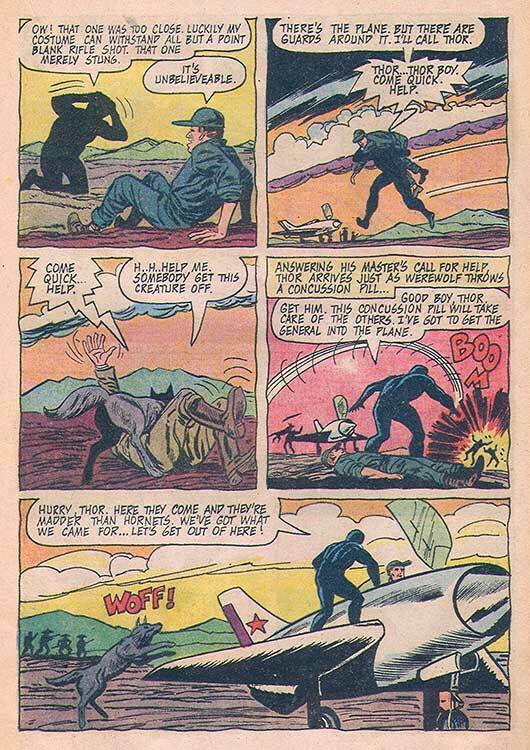 Hero Histories: WereWolf the SuperHero "Claws of the Dragon"
Sent to rescue downed American General Fracas, WereWolf allows himself to be captured by the Communist Chinese in order to be put in the same prison as the general. 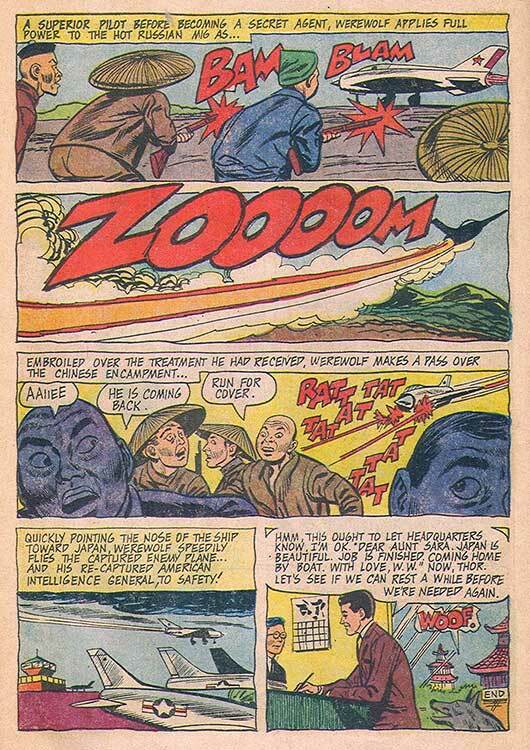 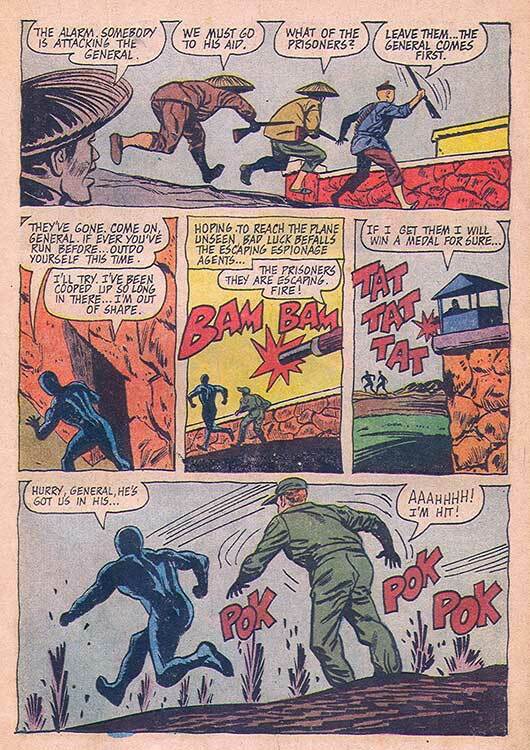 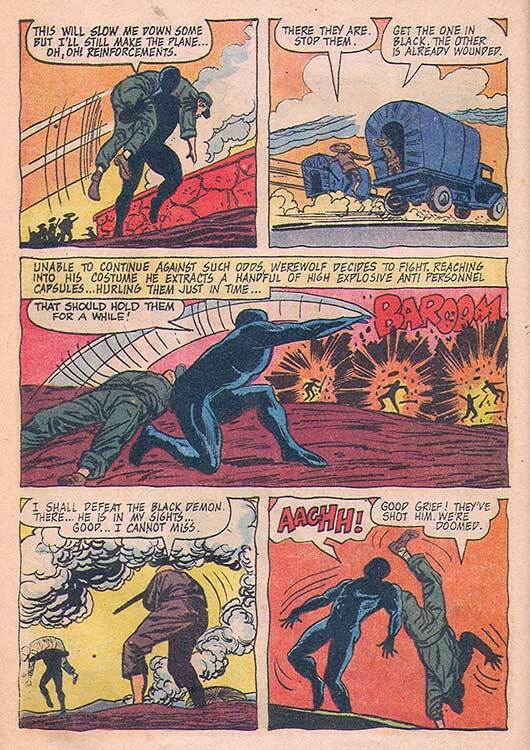 It's not often you see a superhero rake his opponents with machine-gun fire, eh? 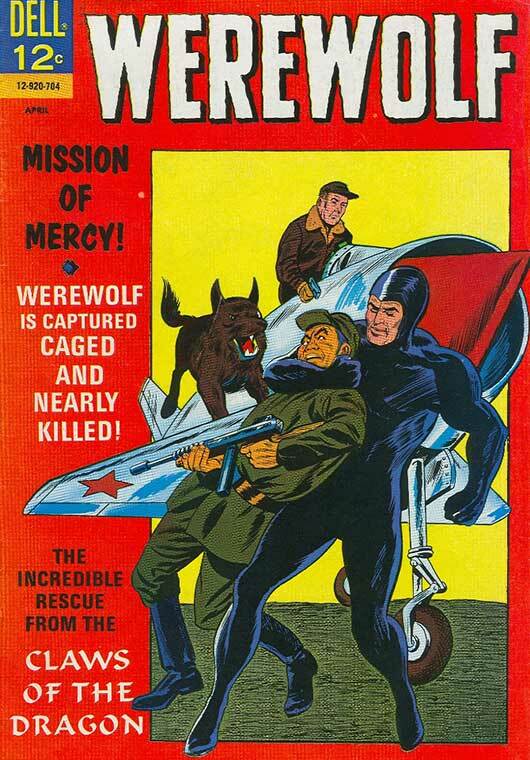 Written by DJ Arneson and illustrated by Bill Fraccio and Tony Tallarico, this never-reprinted tale from Dell's WereWolf #3 (1967) was one of three tales that made one long narrative. 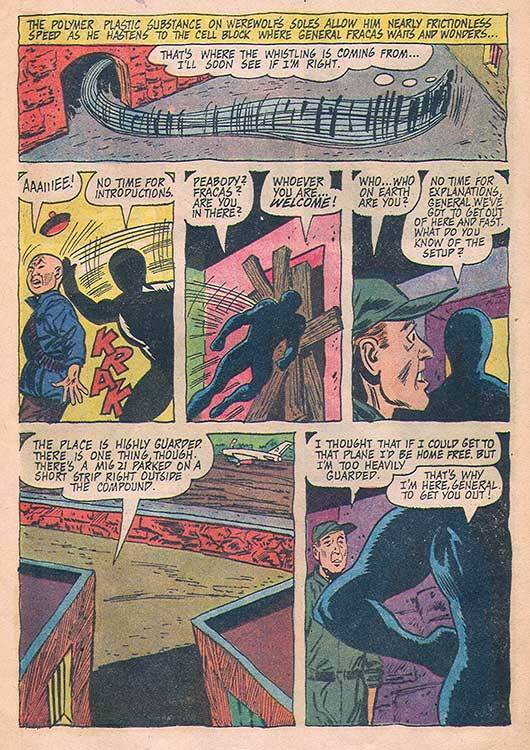 You'll see the second, complete part, tomorrow.